Google is the most popular search engine among all others. 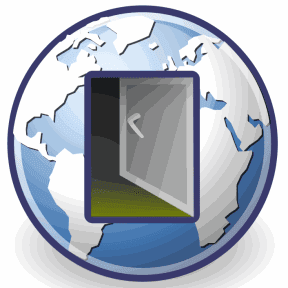 We often use the internet connection from schools or colleges, but unfortunately some sites are restricted to browse. There are many other ways to bypass this restriction, most of them are posted here. Today I will show you a simple trick to bypass website restriction by using Google as proxy website. 1. Note down your current internet protocol address from here. 2. Go to Google Translate. 3. From detect language, select any language other than English. 4. Type http://whatismyipaddress.com/ in text area and click on Translate. Replace http://whatismyipaddress.com/ with any website address you want to bypass. 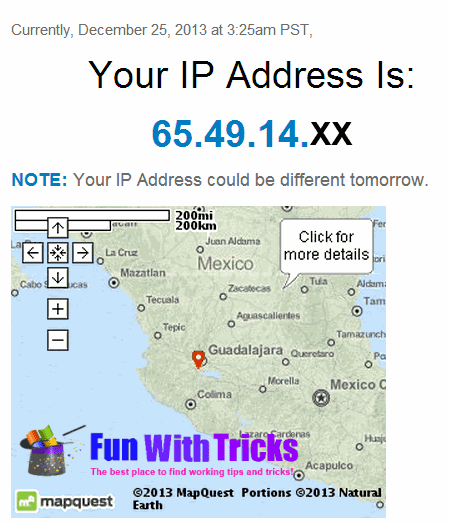 This is just to show you how this trick hides your actual IP address. 5. 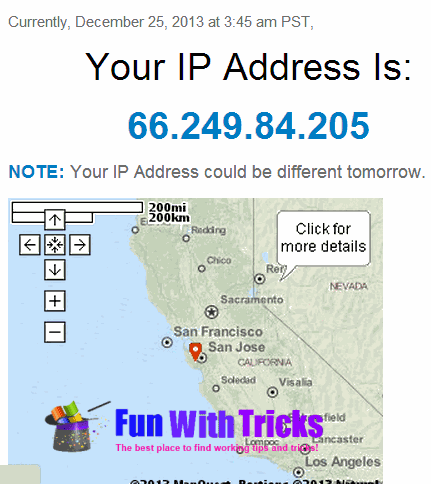 Now check the IP address on website. It is different than original one. 2. Change www.funwithtricks.com to website you like to visit.